One of the enduring images of last night’s Champions League finals will be an ecstatic Kaka dropping to his knees and praying in his ‘I Belong To Jesus’ t-shirt. While the devout Christian is probably hoping to convert a few non-believers, I suspect the most likely outcome is that a few Sunday League footballers who wouldn’t know the Bible from the byline will incorporate it into their next goal celebration. You can buy a similar t-shirt by clicking here. Abramovich: So, Jesus, how much? Jesus: 2 Loaves of bread and a fish please mate and hes yours! Abramovich: How about 40 Million? Now if they had a “I Belong to Kaka” shirt…. Probably couldn’t fit it on his shirt. Maybe just about squeeze it onto Ronaldo’s XXL. Yes! Great idea, Mike. I’d wear that. Kaka is such a class act. I am a Liverpool man, but I love this picture and Kaka! Kaka is brazilian… Conquistadores is a term used for the Spanish invaders of the Americas, not the portuguese. I might be wrong but Kaka does not look like a descendant of the native brazilians. Among all the footballers I’m aware of – and there are a few – Kaka is the one I would most like my sons to choose as a ‘footballing’ role model. The guys a saint, he really is. Kaka really belongs to Jesus. He’s one good man. He’s an ambassador against hunger. How’s that? For people in Brasil and Argentina, futbol is literally a God. the live it, breath it, worship it. that probably why they are so good at it. but the first two comandments of the Bible (Exodus 20 says not to have any Gods before Him, and notto make any idol or worship anything else. Kaka is jsut trying to remind his people that ther is nothing more important than to put God above even the thing syou love so much like futbol. above all kaka loves God and his Son Jesus. 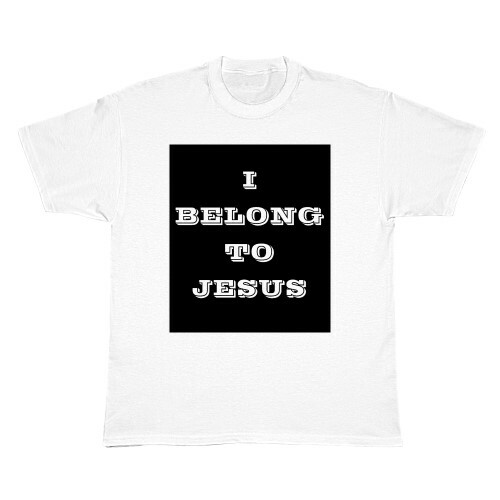 we all belong to Jesus wether we acknoledge it or not. sports is just entertaiment; God is for real. Ugh. Cut it out with the jesus crap. This is a football blog. Kaka’s a good guy, I’m sure, and I understand his faith is based in great part because of a serious accident and having pulled through it. That said, religion is personal, and everyone has their own saviors. I see the shirt as pure recruitment. If he wants to say football isn’t the most important thing in life, he could wear a shirt that says “football is the 2nd (3rd?) most important thing in my life”. I’m sure the portuguese were conquistadores too (same word as in spanish) even if they weren’t the Conquistadores. Anyhoo, Kaka’ would appear to descend from the convertors, not the convertees. I think that it takes a very special person to stand up for Jesus in todays world. You can say all day long that he is recruiting people like having faith and proclaiming that he knows who he belongs to is like getting people to sign up for the army or something, that is your right.If someone gives you something that you really wanted dont you acknowledge the person who gave it to you,in the same way if you are blessed enough to accomplish something that you have worked hard for if you are a christian all things are done through Christ and you thank and acknowledge him for the blessings.To accomplish things in life you need strength to keep pushing yourself to achieve your goals and maybe his strength comes from faith in Jesus Christ. I dont know the man and most of the people who comment on here dont either but if he was sincere in proclaiming his faith I think it was wonderful. God gives talent!,he blesses people with ability; he created and formed the likes of ronaldihno, zidane, c.ronaldo, maradona, pele, eto o, and placed in them such wonderful and amazing potential to be the best when it comes to football that even i begin to adore how creative God is: i’m sure the’re all very proud of there gifts; but the difference is,Kaka acknowledges and appreciates the giver!!! Jesus was the greatest man that walked this earth. he gives the gift of stigmata to people, how do u explain that, and all the appiritions. kaka is the best player in the world . Kaka is a good player. But he is a very conversial guy; he behaves with signs like muslims and at the same he wears symbols of real christians. Then who are Mr. Kaka? He christian, but I doubt he wants to become to muslim. That is good too. Wow, I see so many different opinions here. It’s so sad what non-christians believe. I don’t want to offend those who do not have Christ in their life, but to those who see my message here. Jesus is the way, the truth and the life.. and no one goes to the Father, but through Him. ..and that’s not only a true belief on mine.. it’s also reality. If you died right now without Jesus in your heart as your personal Lord and Savior, your destination for Eternity will be a real place called Hell. Chelsea would be in trouble over third party influence!